The California First District Court of Appeal released its decision yesterday in the case of Hill v. Roll International Corporation. The case was brought by an alleged consumer of Fiji brand bottled water, San Francisco resident Ayana Hill, who asserted that a picture of a green water drop on the label (shown above) led her to believe that Fiji water was environmentally superior and endorsed by an independent environmental organization, when in fact it is not. Her suit claimed that Fiji Water Company LLC and Roll International Corporation (an unrelated company owned by the owners of Fiji Water, Stewart and Lynda Resnick) violated the California Unfair Competition Law, False Advertising Law and Consumers Legal Remedies Act, as well as common law fraud and unjust enrichment doctrines. Ms. Hill sought certification of the suit as a class action. In my occasional series of posts including public signs about water, here are a few from the Westlands Water District area in the Central Valley of California. The past several years, Westlands has received a relatively small proportion of water under its contracts with the U.S. Bureau of Reclamation due to dry conditions in the Sacramento River watershed and regulatory restrictions on diversions based on protection of salmon, steelhead and delta smelt fisheries. As is obvious from the photos, farmers and residents in Westlands are not happy about some of those decisions. 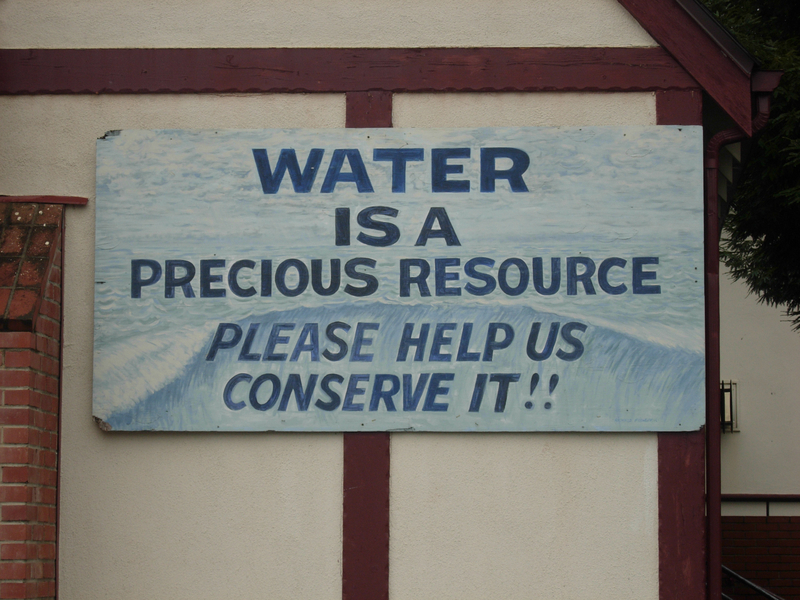 Here is a sign of increased public knowledge of water issues, from the small coastal town of Cambria, CA. Cambria has experienced water shortages in recent years, leading it to consider building a desalination plant. The photo was taken today.